Malala Fund co-founder Shiza Shahid, who has been at the forefront of fighting for female access to education worldwide and who helped care for Nobel Peace Prize recipient Malala Yousafzai after the Nobel Laureate was shot, will be the guest speaker at the California State University San Marcos Arts & Lectures series’ signature event set for November 16—There are No Superheroes, Just Us: My Journey with Malala. Shahid was recently named one of TIME magazine's 30 Under 30 World Changers and Forbes' 30 Under 30 Social Entrepreneurs. Today she and Malala Yousafzai advocate for the millions of girls worldwide denied a formal education because of social, economic, legal and political factors. Shahid grew up in the Pakistani capital of Islamabad and became active in social causes at a young age, working with children born to imprisoned women and volunteering at a relief camp after a devastating 2005 earthquake killed at least 86,000 people and injured more than 69,000 others. She later earned a scholarship to Stanford University and moved to Palo Alto at age 18, but never really left her homeland behind and stayed up to date on issues affecting women in Pakistan. She was particularly drawn to the story of Malala Yousafzai, then an 11-year-old girl struggling to get an education in the Swat Valley, an area of Pakistan overrun by the Taliban. Shahid reached out to Malala and organized a camp for her and more than two dozen other girls, with the aim of empowering them, nurturing their activism and helping them build their entrepreneurial skills. A few years later, in 2012, the Taliban hunted down Malala and shot her in the head at point-blank range while she was riding the bus home from school. Few expected her to survive. Shahid, who had graduated from Stanford and was working with McKinsey & Company consultants at the time, visited Malala in the hospital and helped care for her while she recovered. She has been working closely with Malala since. The pinnacle of their work is the Malala Fund, which has raised millions of dollars to provide educational opportunities to girls across the world. 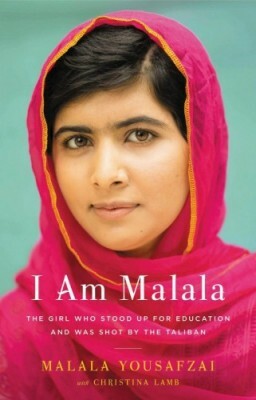 There are No Superheroes, Just Us: My Journey with Malala complements the University’s 2015-2016 Common Read program and its featured book, I am Malala, which details the Nobel Laureate’s odyssey. It also ties in with the recently launched #62MillionGirls campaign, an effort to raise awareness of the estimated 62 million girls worldwide who are being denied an education. The CSUSM Library started the Common Read in 2011, and the effort provides a shared experience of intellectual and community engagement by bringing the campus community together to read and discuss one book and discuss its themes. The goals of this program are intellectual engagement, focused on first-year student academic transition to college, co-curricular programs bridging academic and student life, and interdisciplinary integration across the curriculum. There are No Superheroes, Just Us: My Journey with Malala is co-sponsored by Community Engagement, the Dean of Students Office, Housing, the Office of Undergraduate Studies, the University Library and the University Student Union. The event will be held from 7 to 9 p.m. in CSUSM’s University Student Union. CSUSM students and children 12 and under are free. Tickets for CSUSM faculty, staff and alumni are $6 each. Admission for community members is $12. Further information and tickets can be obtained here.